Garage doors are the biggest moving part of your home and with constant daily use they might become inoperable. For this reason, you should only install good quality, highly durable garage doors like specialty garage doors that can last ever changing weather conditions and excessive daily usage. 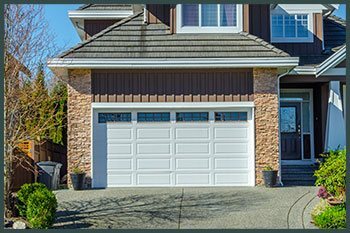 If you want regular maintenance service or door installation in Prior Lake, MN area, you can contact Two Guys Garage Door Service and we will keep the garage door as good as new. Garage doors come in various shapes, dimensions, materials and types and you will be pleasantly surprised to know that you will garage doors of all shapes and sizes under our roof. Just name your price and budget and Two Guys Garage Door Service will source a garage door for you that meets your requirements. 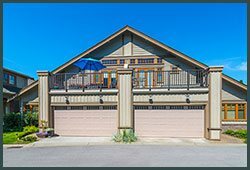 We have double garage doors as well as carriage house doors and we can also build garage doors from scratch for individuals looking for custom options. You can also choose from a wide range of garage door parts. We have garage opener parts, all types of springs, garage door cables and a lot more. We not only have the best materials and tools at our disposal but we also have the best garage door experts team in Prior Lake. Two Guys Garage Door Service carefully picks its team and also provides them with training and workshops that help to enhance their skills as well as add to their vast experience. They can deal with any kind of garage door, be it simple wooden garage doors or heavy industrial garage doors. We are also available 24/7. Unlike our competition, Two Guys Garage Door Service has set up itself as the most reliable 24 hour garage door service, that is readily available to address all kind of emergencies in Prior Lake, MN area. Just call us on 612-924-1438 and you won’t ever be disappointed.